Home » Crochet Videos • Free Crochet Patterns • Inspired Crochet • Inspired Design • Learn Crochet • Maggie Weldon • Maggies Crochet • My Favorite Things • News » Sew, Knit, and Crochet Scarves to Support the Children’s Hospice Association in Scotland. The Children’s Hospice Association Scotland (CHAS) is the only charity that provides hospice services in Scotland for children and young people with life-shortening conditions. They offer care in two hospices: the Rachel House in Kinross and the Robin House in Balloch. The hospices offer a wide variety of services such as short planned breaks, emergency support, bereavement support, end of life care and even in home care to families when they need it most. The services are mainly funded through the generosity of the supporters who help to raise money to provide these vital hospice services. A local supporter of CHAS, Sandra Farrer, has taken on a challenge for 2014. In order to raise awareness and money, Sandra seeks to make a scarf that stretches from Gateside, Fife to Rachel House in Kinross which is a distance just under 7 miles. Sandra was inspired by a group in Wales who made a 33-mile long scarf and raised thousands for the local children’s hospice. 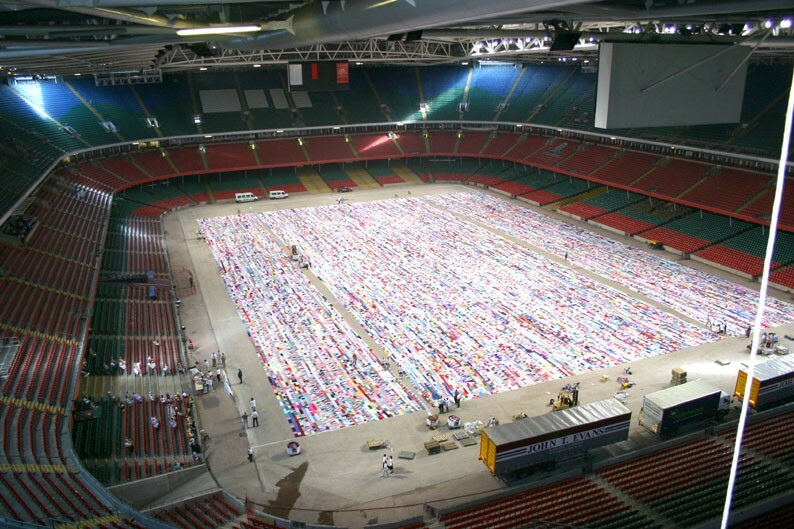 This is an image of the 33-mile long scarf in Wales being measured at the Millennium Stadium in Cardiff. 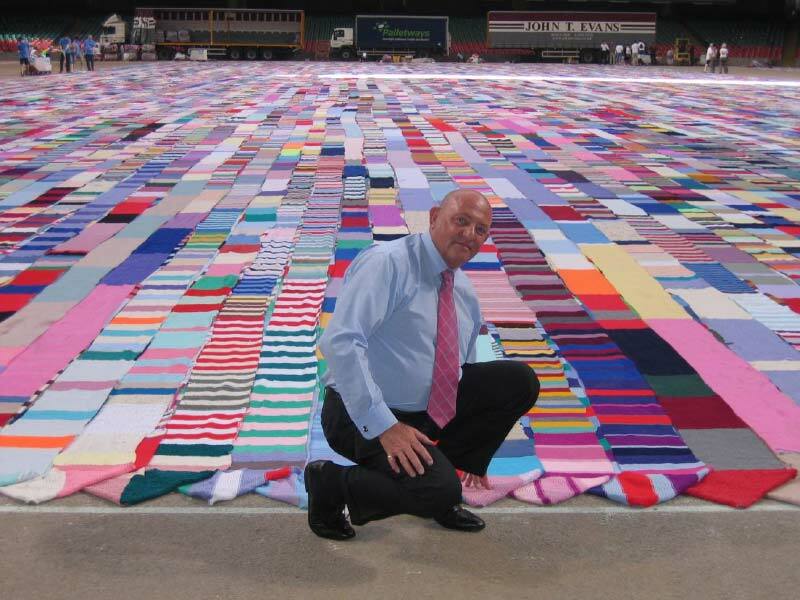 Brian Main, the chief executive of Feed The Children, in front of the 33-mile long scarf. In order to make this feat possible, Sandra will need 7,511 scarves! Donated scarves will be accepted from February through September. In September, there will be a “stitch-a-thon” where all the scarves will be sewn together in a 24-hour period before being sold separately to raise money for CHAS. 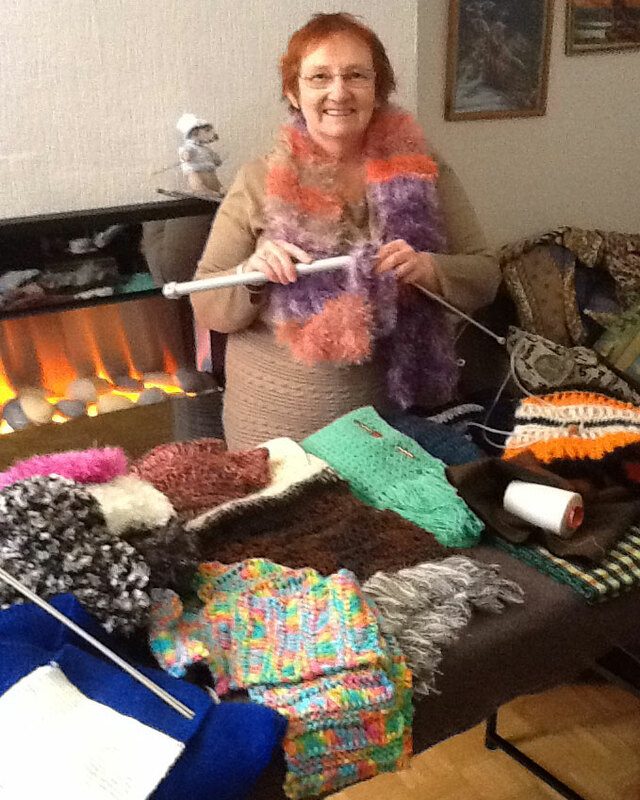 Sandra is asking that people craft scarves that are at least 1.5 m long and of any width to help her in this quest. 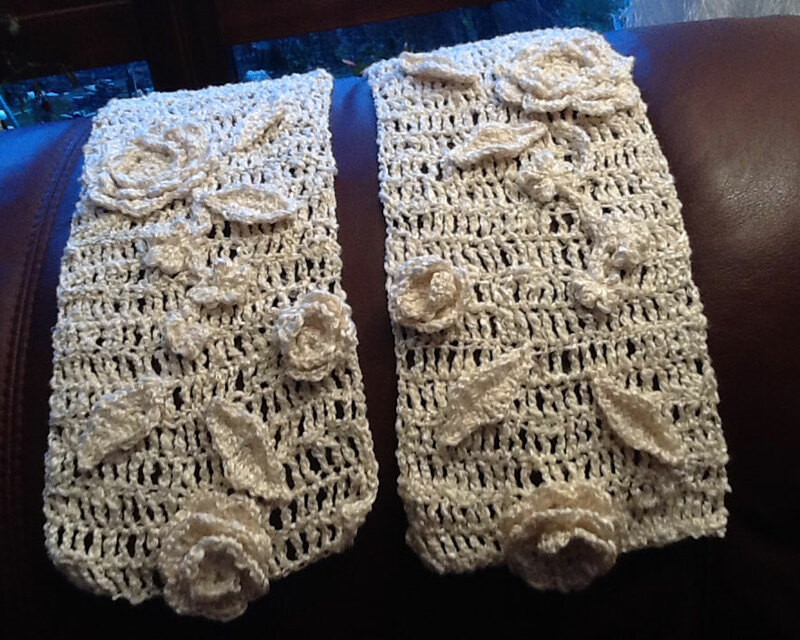 The scarves can be knitted, crochet or sewn. Any scarves donated can be sent directly to Sandra Farrer at CHAS Scarf Appeal ­­6 Bower Park Gateside, Cupar KY14 7TD, UK. Local donation sites include Sainbury’s in Kinross, YMCA in Cupar, Rascal’s Nursery in Kelty, Tikasam Handmade Cards & Craft in Burntisland or any CHAS shop or office throughout Scotland. This is one of the scarves was made and donated by Sandra Farrer. If you are interested in making a scarf to donate, try one of these free patterns with corresponding step-by-step tutorials. 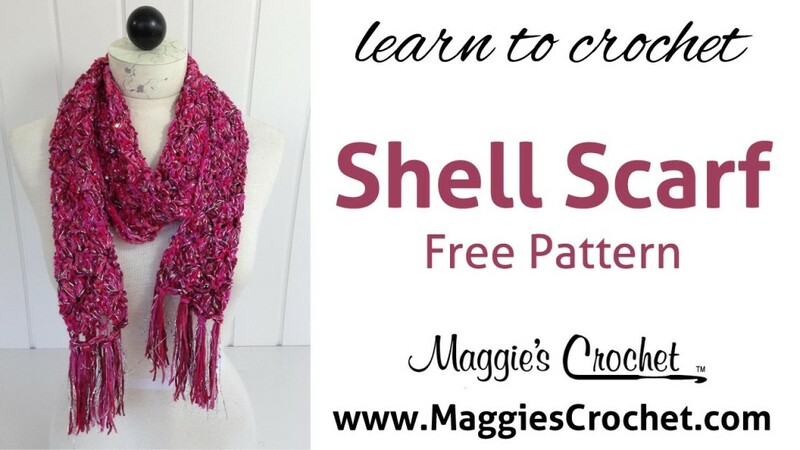 Read the Shell Scarf Pattern. Click here for the Right-Handed Shell Scarf Pattern Tutorial. 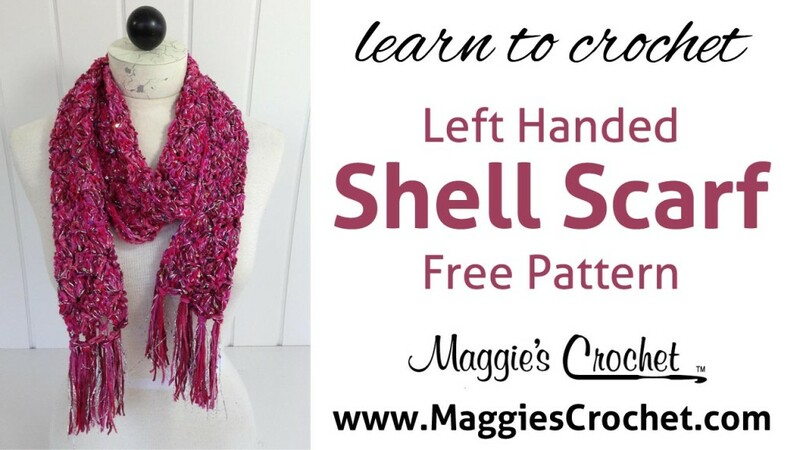 Click here for the Left-Handed Shell Scarf Pattern Tutorial. 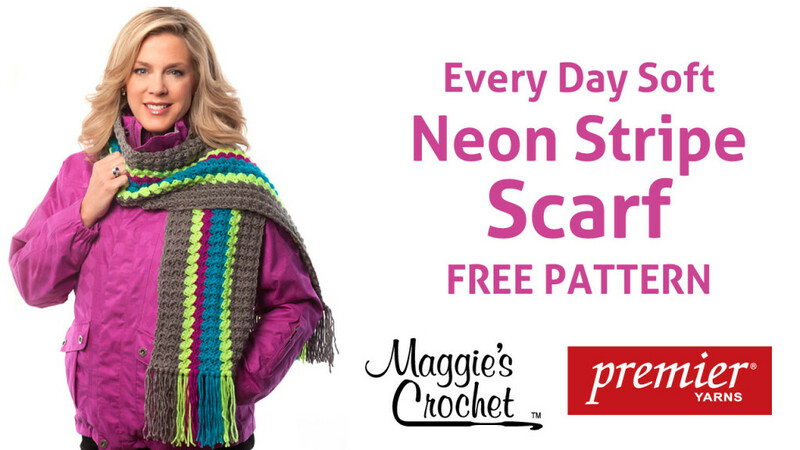 Read the Neon Stripe Scarf Pattern. 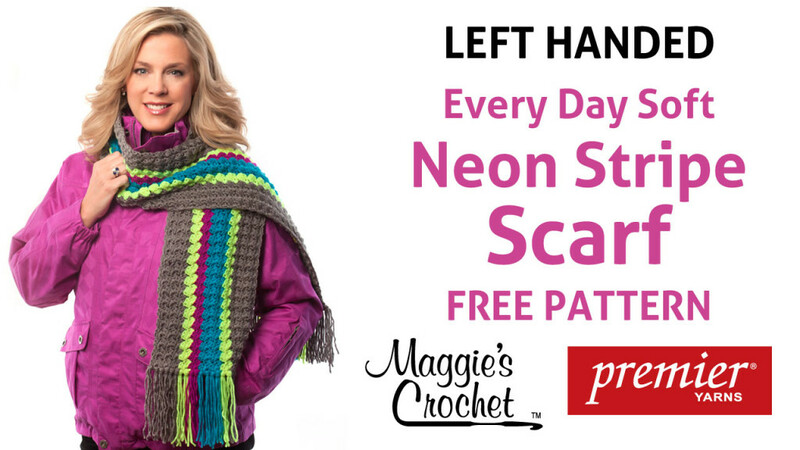 Click here for the Right-Handed Neon Stripe Scarf Pattern Tutorial. Click here for the Left-Handed Neon Stripe Scarf Pattern Tutorial. Read the Midnight Snowballs Scarf Pattern. Click here for the Right-Handed Midnight Snowballs Scarf Pattern Tutorial. Click here for the Left-Handed Midnight Snowballs Scarf Pattern Tutorial. 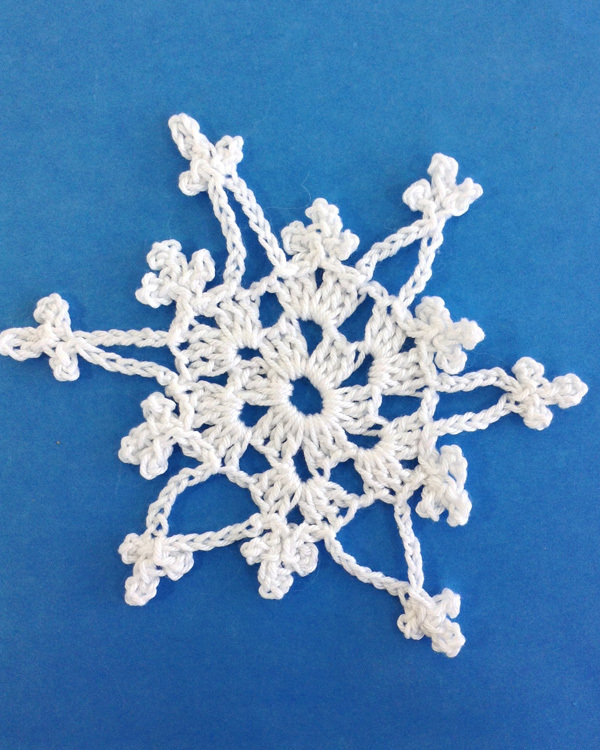 If you enjoyed this post, read another post about crocheting for charity.